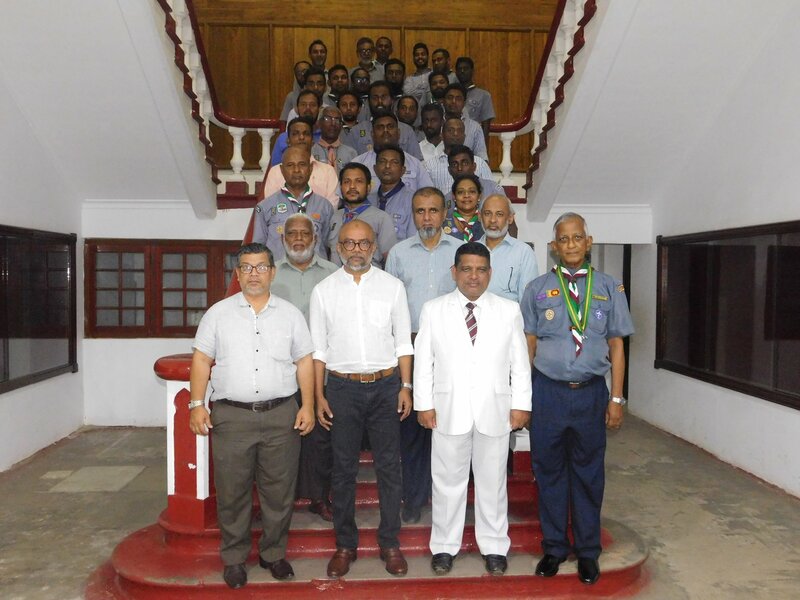 The 100 Days Count Down Event of Zahira College 11th Colombo Scout Group Centenary Jamboree was held on 04th April 2018 at the College premises under the patronage of the Chairman Board of Governors of Zahira College Mr.Fouzul Hameed together with the distinguished presence of the Principal Mr. Trizviiy Marikkar, Secretary of the Board of Governors Mr. Alavi Mukthar and the Sports Committee Chairman of the Board Mr.M.S.M.Faiz along with the members of the Organizing Committee drawn from the Past Scouts and the Colombo District. Mr.M.F.S. 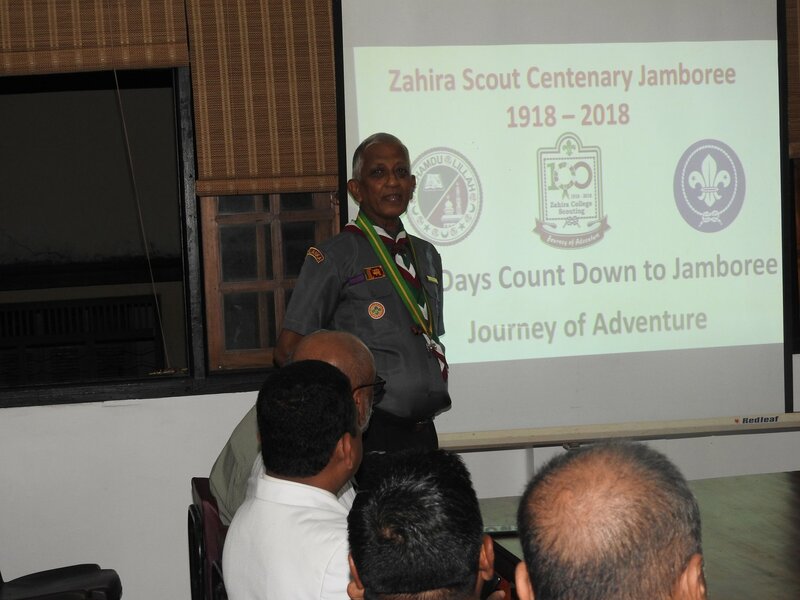 Muheed, Chariman of the Scout Committee of Zahira College and the Chairman of the Jamboree Organizing Committee made a presentation of the Centenary Jamboree to be held from 13th July to 15th July 2018 at the College premises. 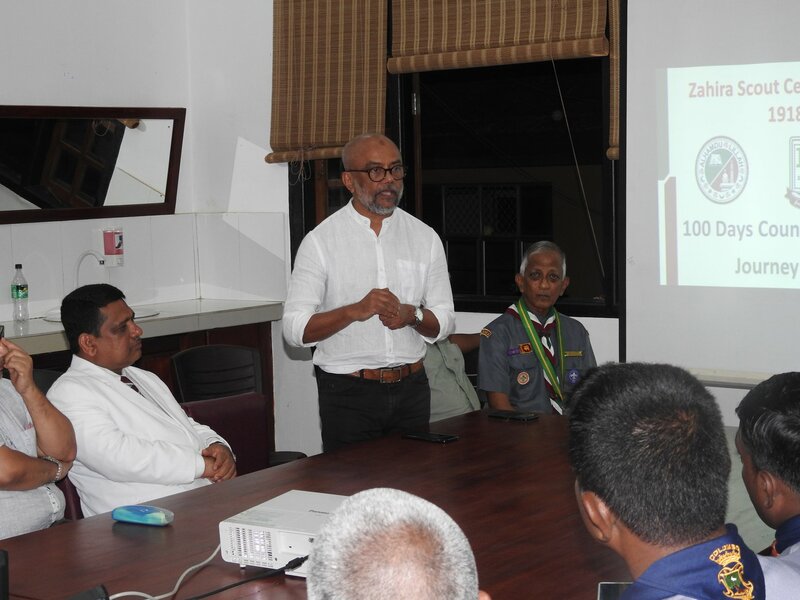 In his presentation, he said all Scout Groups in Colombo and some of the Scout Groups from other provinces will be invited to send a representation of scouts to participate in the Jamboree which will bring in an atmosphere of fellowship brining all communities together. He said activities of Skills and knowledge based activities will be made available to the scouts. 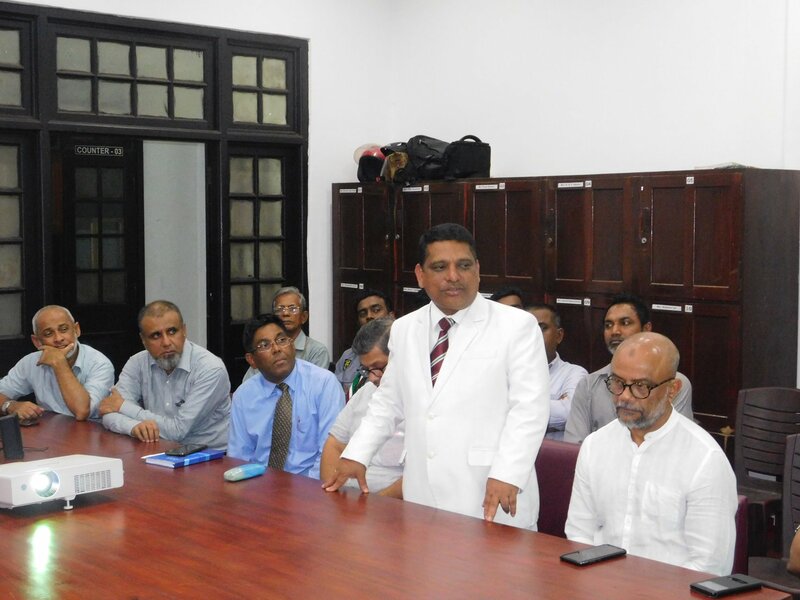 The Principal MrTrizviiy Marikkar stated that at Zahira College Scouting is developing at a rapid rate and this will help in instilling discipline among the students. He wished that more scouts will become President’s Scouts the highest award a scout could get. The Chairman of the Board of Governors Mr. Fouzul Hameed stated that Scouting is a big game and he realized the seriousness of the activities Scouting provides. He said the Board of Governors would give their fullest support in celebrating the Centenary of Scouting at Zahira. He further said about the importance of scouts belonging to different races and communities coming together. 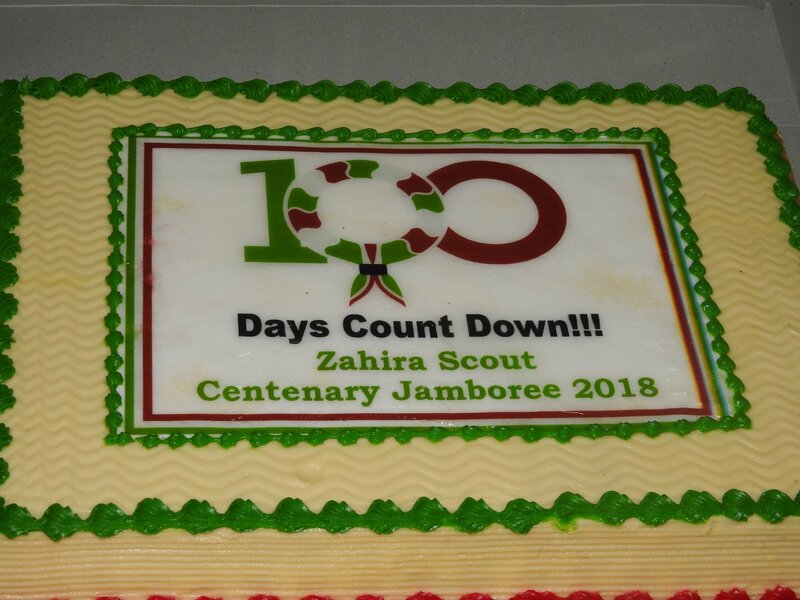 The 100 Days Count Down Cake was cut by the Chairman of the Board of Governors, The Principal and the Chairman of the Jamboree Organizing Committee. Mr. Nilha Nawaz Co-Secretary of the Organizing Committee thanked everyone on behalf of the Organizing Committee for their presence.